Is the Basenji right for you? Find your perfect match now! Basenjis don't bark! These Central African imports make a noise between a yodel and a chuckle to let you know what's on their minds. Thought to be one of the world's oldest breeds, Basenjis appear in Egyptian art and hieroglyphics. Bred to hunt, the Basenji is a cat-like sort of canine: this dog is a curious, clever, and strong-willed loner who keeps to herself. This medium-sized, high-energy breed can grow to between 22-24 pounds and lives an average of 13-14 years. The breed is recognized by the American Kennel Club and classified as a member of the Hound group. WHAT IS A BASENJI'S PERSONALITY LIKE? Basenjis are inquisitive, independent dogs. They are very intelligent and can be somewhat playful and affectionate. 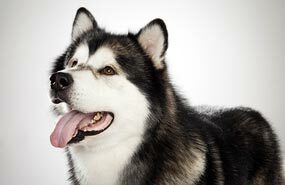 This breed is sometimes shy with other dogs and pets and does best playing with older children. They can be standoffish with strangers, but they are loving toward their chosen people. 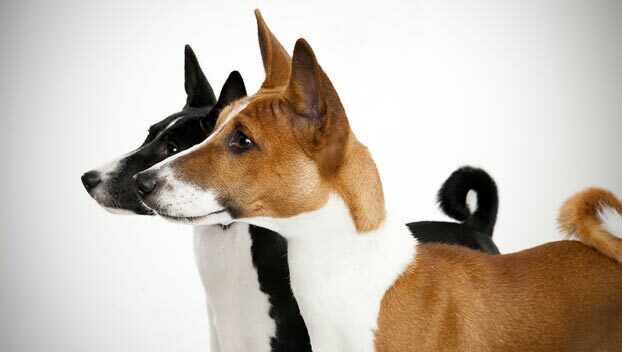 WHAT IS BASENJI BEHAVIOR LIKE? Basenjis are alert and vigilant, though not especially protective. This breed is very active and needs plenty of daily exercise. They far prefer warm weather and will want to run and romp with you outside. Basenjis can be mischievous and destructive, particularly when they're bored. Keep them on their toes, or they'll keep you on yours. HOW EASY IS IT TO TRAIN A BASENJI? A Basenji knows its own mind and can be somewhat challenging to train. Start early and be patient and consistent with your furry friend — training will take time and energy. You'll also need to keep this smarty-paws entertained, so make your training sessions brief and fun (and don't be shocked if he has his own ideas about what “obedient” looks like). Basenjis respond well to food rewards, play, and praise. HOW MUCH DO BASENJIS SHED AND WHAT ARE THEIR GROOMING NEEDS? Basenjis have short, relatively odorless hair. They shed seasonally and require occasional grooming. You can wipe this dog down with a mitt or hound glove. 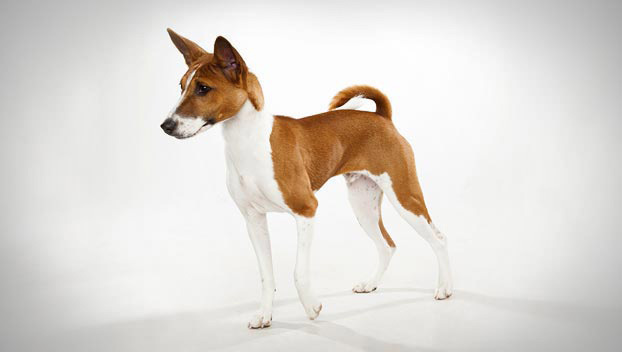 Their feline-esque character includes being fastidious about their own tidiness — your Basenji will also groom itself. WHAT HEALTH PROBLEMS DO BASENJIS HAVE? Basenjis have been known to develop Faconi Syndrome (a kidney disorder), Progressive Retinal Atrophy, and hip dysplasia. Most Basenjis are relatively healthy, however. ARE BASENJIS GOOD FOR PEOPLE WITH ALLERGIES? The American Kennel Club doesn't list Basenjis among its breeds recommended for allergy sufferers. You can reduce your furry friend's impact on your allergies with frequent baths and brushings to reduce loose hairs and allergy-aggravating proteins in your pet's dander. Use a damp cloth to wipe off your dog after playing outside. 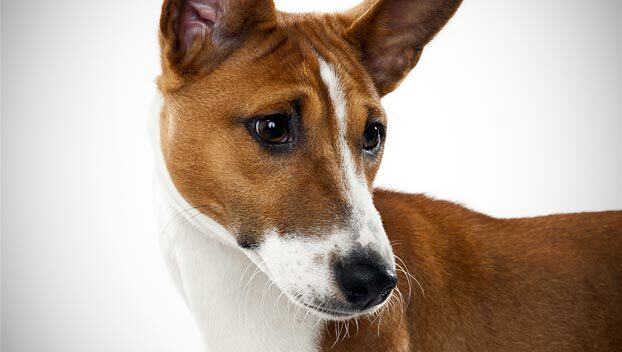 Smaller dogs have less surface area, so they produce comparatively less dander than larger breeds — definitely something to keep in mind with a dog like a Basenji! Remember that no breed is 100% hypoallergenic, and any breed can aggravate allergies. WHAT'S A BASENJI'S BEST DAY? A morning romp with a short, fun training session in the mid-afternoon is all your Basenji asks for. A few food reward games won't hurt either! 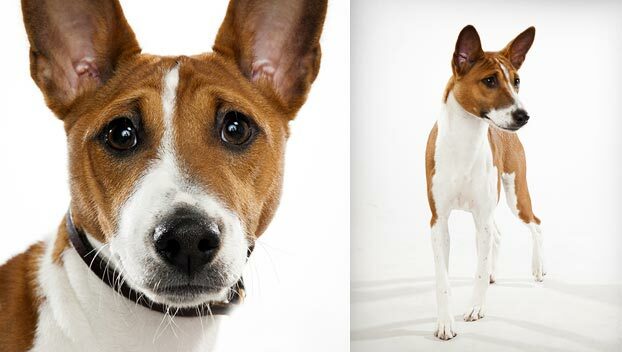 SHOULD I ADOPT A BASENJI? Basenjis are suited to urban environments, though they're not really built for New England winters. They bond closely with their chosen people and pair best with folks who can keep up with their active lifestyles and quick wits. They make for fastidious housemates and loyal companions. If you're willing to put in the work to find and train one, a Basenji might be a brilliant match for you. 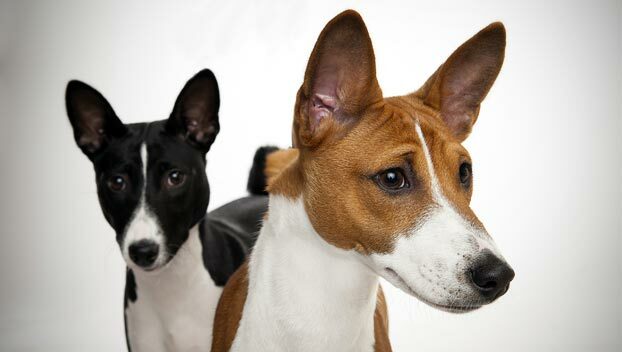 Have you decided that a Basenji is the perfect dog for you? Why not be your new best friend's hero and adopt a rescue! Be sure to check out our article on what to expect when you're adopting a dog or cat.